Hi everyone! 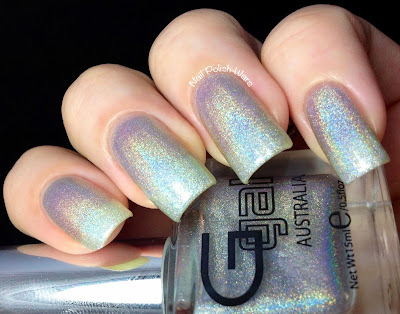 I have a few more awesome holographics from Glitter Gal for you today! 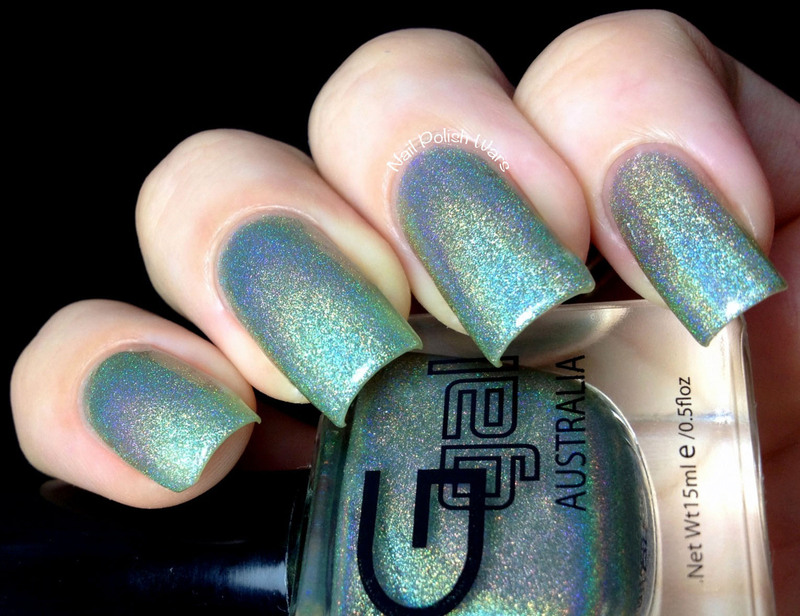 Moss is a soft sage green holographic. The formula is a bit on the thin side, but is easy to build up. In fact, the formula is so thin that this would make a good holographic top coat!! 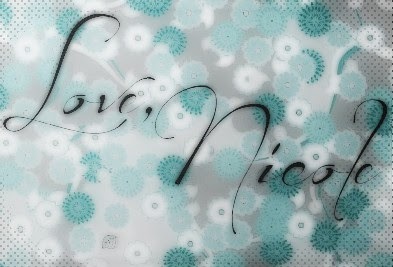 I am crazy about this color!! The linear effect is awesome, and it isn't too over the top!! Shown is three coats of Moss. Turbulence is a, well, kind of colorless holographic. It's not exactly silver, but it's not exactly a total clear coat either, which I think makes it really amazing! 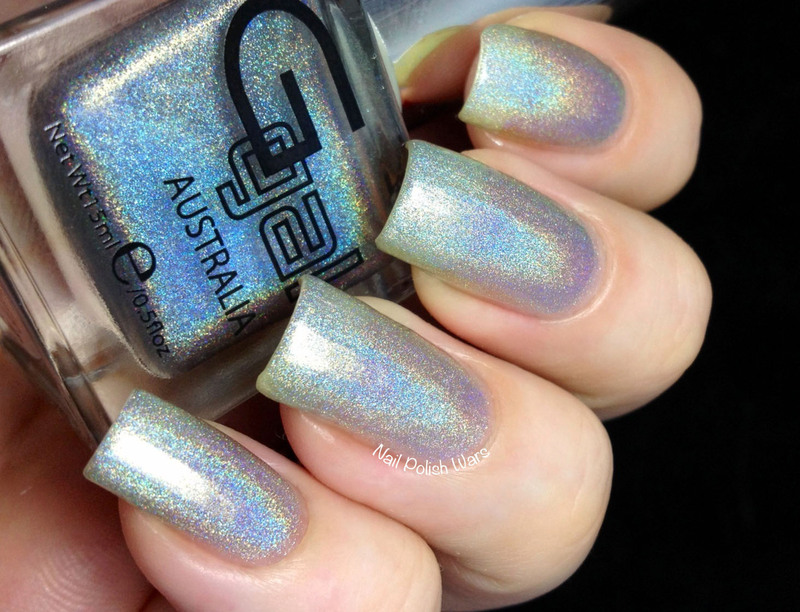 The formula is rather sheer, so it would also make an amazing holographic top coat, but it is also easily built up. 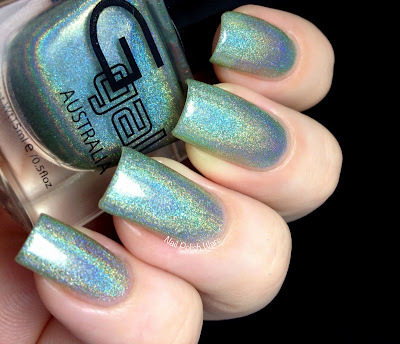 I am head over heels for this shade! Such a great linear effect, and it's colorless formula really makes the rainbow stand out. Shown is three coats of Turbulence. 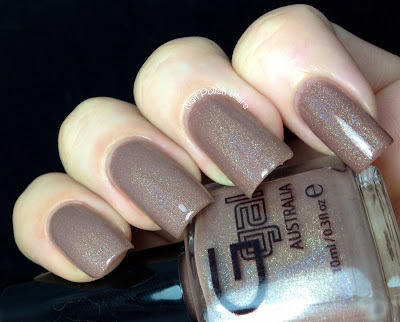 Suede is a deep taupe holographic. The formula was rich and easy to apply. I didn't think I would like this one nearly as much as I did. But, as usual, I was wrong!! The linear effect isn't nearly as strong since it's more of a creme, but it's still very pretty. Shown is two coats of Suede. Glitter Gal is available at many online locations, such as their official website here and Dusk to Dawn Beauty, which is my favorite US Glitter Gal retailer. They are available in both 10ml and 15ml sized bottles, that are always “Big 5 Free”, cruelty free and Vegan friendly. I REALLY like Suede. Thanks for these beautiful swatches.